Meeting and group planners looking to host a fun and memorable event in the Minneapolis Northwest area can turn to Megan Diaz and Katie Lofrano for all their event-planning needs. Get to know the business development team below! Business Development Manager, Katie Lofrano, joined Minneapolis Northwest Tourism in December 2018 and brings an impressive breadth of industry knowledge with her. Prior to joining the team, Katie excelled in business development with another local CVB, and over the course of five years, she learned the ins and outs of the travel, tourism and hospitality industries. She wore many hats, from front office work to accounting, and grew to be one of the top sales managers. Katie works with smaller associations, corporate groups, religious groups, and social groups such as weddings, family reunions and military groups. Like her team members Josh Anderson and Megan Diaz, Katie cannot recommend Minneapolis Northwest's Event Assistance Fund enough. What makes the fund unique is the flexibility to put dollars toward any part of a meeting or event – lodging, transportation, food and beverage, entertainment options and more. Director of Business Development, Megan Diaz, joined Minneapolis Northwest Tourism in May 2018 and works to connect corporate groups and associations with the appropriate venue and resources for their meeting and event needs. She is supported by an extensive background in hospitality, stemming from her early days as a Sales Coordinator for the Galleria Marchetti in Chicago, a gorgeous event center in the heart of the Windy City. It was there that Megan fell in love with the process of building and maintaining relationships with clients. A natural helper, Megan excels at meeting peoples’ needs. She attends conferences throughout the year where she meets dozens of planners during a brief period of time. Although appointments are short, they are a fantastic way to connect. And her daily work focuses on building solid partnerships with area venues, hotels and restaurants. This gives her valuable insight into business developments in the area, which she can then pass on to event planners. 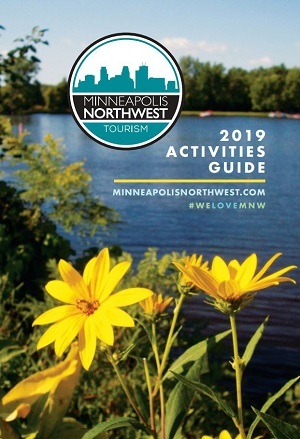 Throughout the years, Minneapolis Northwest Tourism has hosted successful events geared toward helping event planners understand all that the area offers. In addition to education conferences, Minneapolis Northwest Tourism hosts an annual Taste of MNW Tour, a familiarization tour that introduces new and seasoned event planners to unique venues around the area, as well as the capabilities of Minneapolis Northwest Tourism. Looking for a little extra help? Megan can provide welcome bags and arrange site visits in advance. Like Josh, she also recommends utilizing our Event Assistance Fund, which aids planner in bridging the gap when it comes to hosting an event in our area. Megan’s extensive hospitality experience includes working for Country Inn & Suites in Brooklyn Center, the Courtyard Marriott in Maple Grove (which she helped open), and the downtown Hilton Minneapolis, the largest hotel in the Midwest outside of Chicago. The best tour she gave was to NFL officials when they were considering Minneapolis for Super Bowl LII! She then worked as the Director of Sales at Hilton Garden Inn Maple Grove before joining Minneapolis Northwest Tourism.